Becky, What happened to exchanging this week like you told everybody last Saturday...or we are within a day or two as you said on July 4th? Is misleading these people really worth the money you make? You are not a credit union or a bank! Insane request from someone you do not know or easily vet!? Just say no. Go get a job Becky, people are catching on to your agenda. 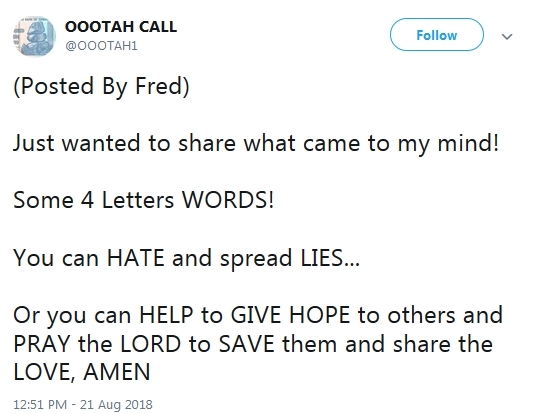 And Fred said that ?? Wow !! Very Christian of him, NOT !! Hell, everyone on your followers list would love a piece of that 4200.00 dollar pie. 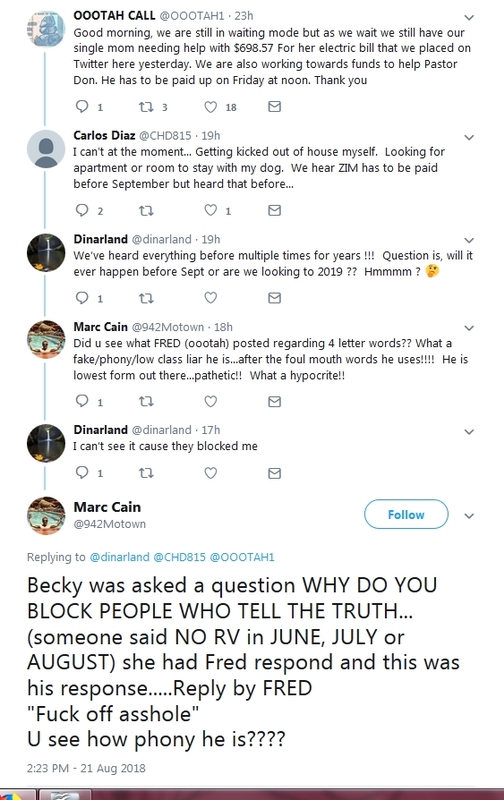 Start slicing it all out, lol Honestly Becky you said months ago this was gonna be last weekend & your still no closer to that truth you told 10 weeks later ! How can people believe you ????? ?